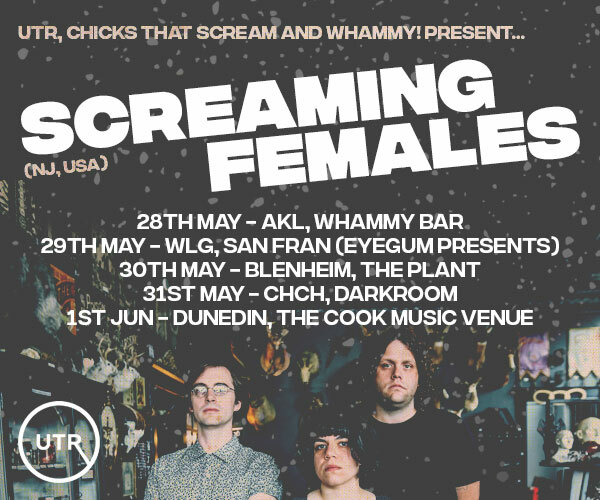 We're about to Houdini overseas for a little while, so have decided to play a few shows leading up to it as we’re going to the land of milk and honey and need some money to get us there and to find the milk and the honey once we arrive. 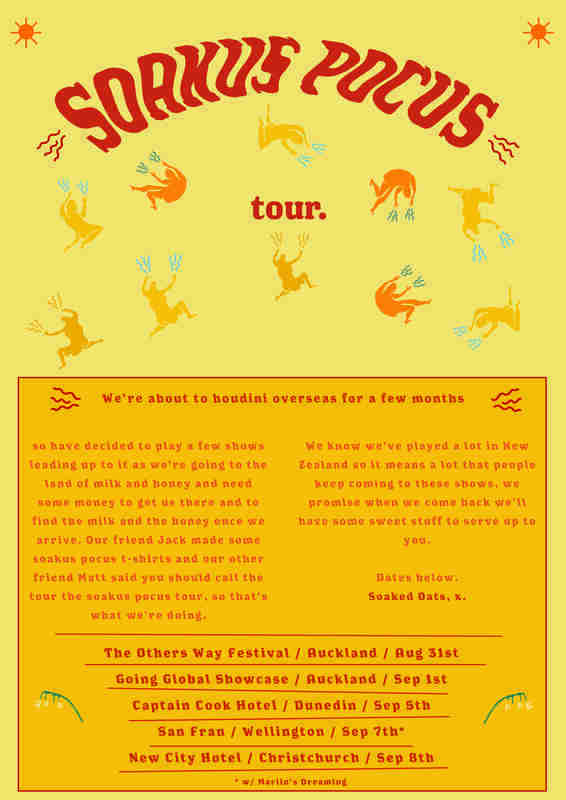 Our friend Jack made some 'Soakus Pocus' T-shirts and our other friend Matt said you should call the tour the 'Soakus Pocus tour', so that’s what we’re doing. 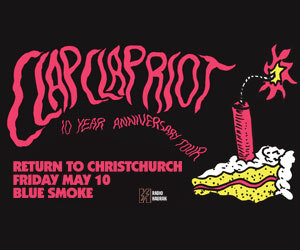 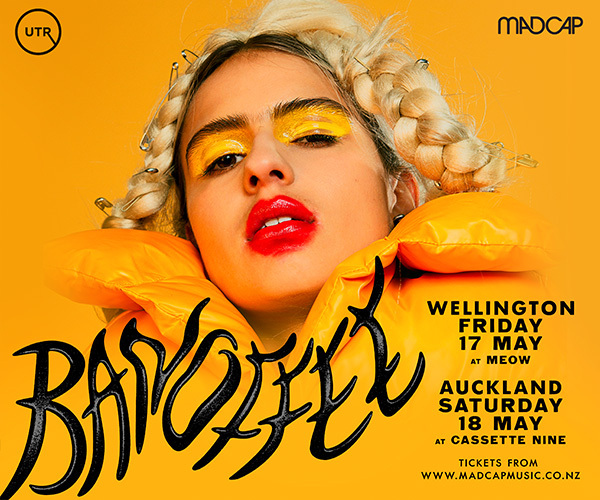 We know we’ve played a lot in New Zealand so it means a lot that people keep coming to these shows, we promise when we come back we’ll have some sweet stuff to serve up to you.